For her book Meals and Recipes from Ancient Greece, author Eugenia Salza Prina Ricotti had to become something of a food detective. The Greeks didn’t have cookbooks as we do; instead, hints at their cuisine exist in their literature, in poetry and dramas. 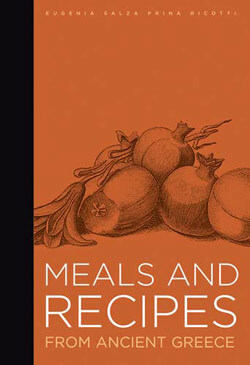 Many of the recipes in this book derive from a single text written by Athanaeus in Rome in the third century, The Deipnosophists—also known as The Gastronomers or The Banquet of the Learned and as Philosophers at Dinner. Rinse the lentils thoroughly, then put them into a pot with the broth to boil. Reduce heat and simmer for one hour. When the hour is up, skim the top, add the vegetables, and simmer until cooked through, about 30 minutes. If the soup seems too watery, pass some of the lentils through a sieve. Now add the vinegar and honey. Pour into serving bowls and add a good dollop of olive oil (about 2 tablespoons per serving), sprinkling on coriander seeds and salt and pepper to taste. 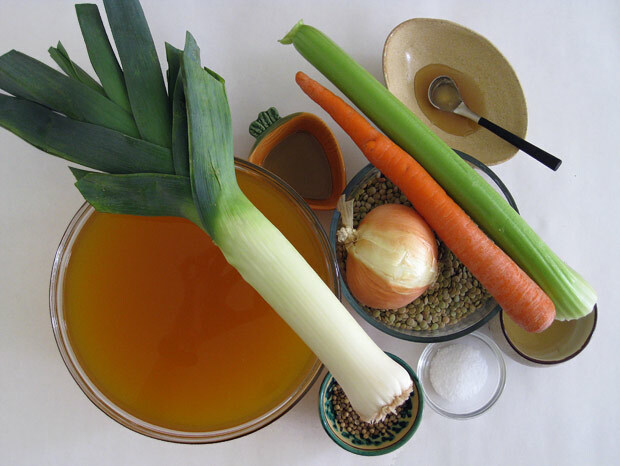 The soup is surprisingly rich and flavorful, even though the aromatics go in the pot without being sautéed. A good-quality, fruity olive oil makes for a luxurious first spoonful. 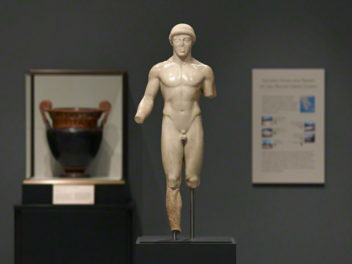 As a new media consultant, I bring an enthusiastic layperson's eye to the Getty. I'm always stopping in front of paintings saying, "Hey, isn't that a so-and-so?," while the people on staff devote years to deep study of art. I've been Web editor for the radio show Marketplace and the metroblog LAist and regularly blog for the Los Angeles Times. I admit, I do have an MFA; it's in creative writing. This looks great. I’ve been really curious about ancient food recently because I’ve been eating more & more of a vegan and Mediterranean diet. 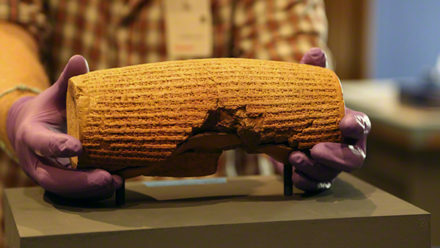 I even found a recipe for an ancient Hittite lentil stew! I can’t wait to try this recipe – it looks delicious & is vegan, too! Thank you. mmmmmm i MUST TRY THIS RECIPE. Add the lentils, stir, and reduce heat to a slow boil. Add salt, coarse black pepper, and olive oil to taste. 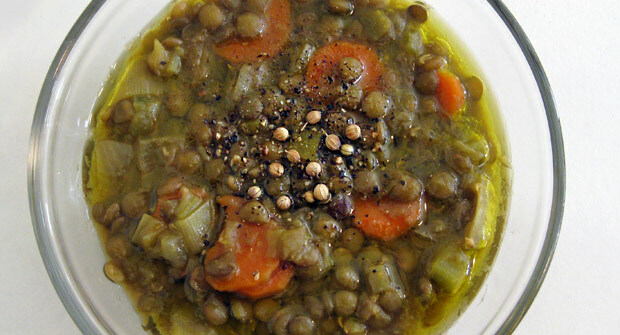 Cook for about 45 minutes or until lentils are soft and pliable. Keep adding water if the mixture gets too thick. May be cooked with small macaroni or broken up spaghetti for a lentil and pasta mixture or eaten plain.